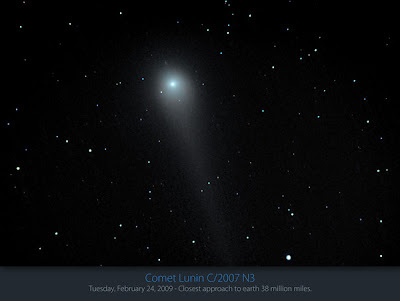 Imaged by many astronomers, Comet Lulin may have been one of the most popular non-regular comets I've seen recently. There were so many great images I couldn't possibly include them all, so I've posted the best for your viewing below. 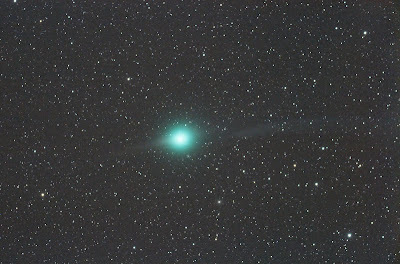 Overall, I think Comet Lulin was a great way to kick off the International Year of Astronomy. 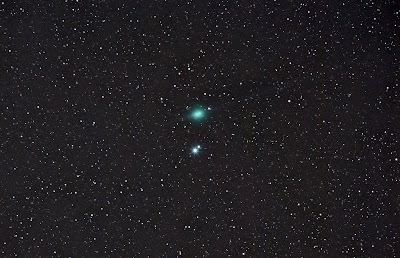 If you didn't get to see the Comet, just check out these beautiful pictures of the popular green comet! If your image isn't on the list, and you'd like to see it here, just submit your image to me at sean@visualastronomy.com or post a comment below! This first image is actually an animation. 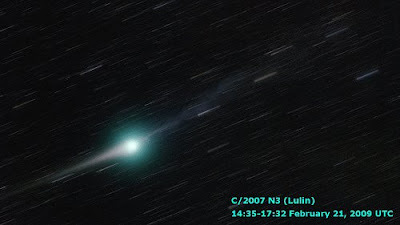 Click the image above to see an animation of Comet Lulin moving across the sky. 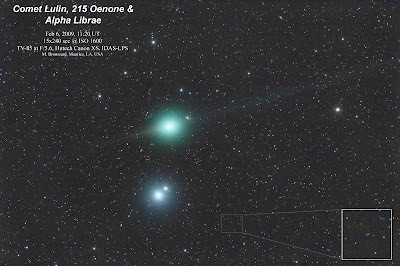 This is REALLY cool, I'd suggest taking a peek! 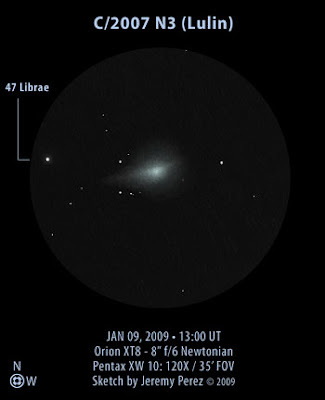 (Image is 10 MB) Courtesy of Hiro. Courtesy of Burley Packwood via West Seattle Weisenheimer. Of course, as a visual observer, I've got to include at least one sketch! Courtesy of Jeremy Perez. 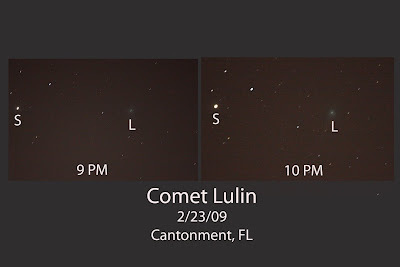 Comet Lulin caught with a DSLR and 30 sec. exposure. Courtesy of Tavi Greiner. 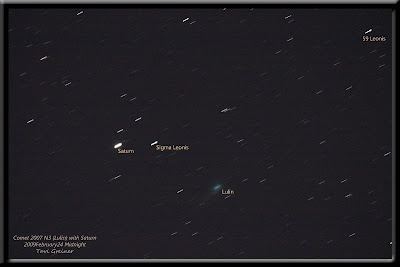 There are also excellent conversations on Comet Lulin at Cloudy Nights and SLOOH. Those are truly great images (I particularly like the animation). Thanks for posting. The cash accompanies no limitations on it and can be acquired close to rounding out the application. Great publish. It really is useful to all of us. It’s providing all of us plenty of curiosity as well as enjoyment. 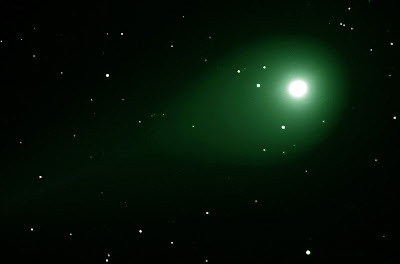 Its chance is really incredible as well as operating therefore fast. You can now follow-up Cash Advance It’s a real excellent post.